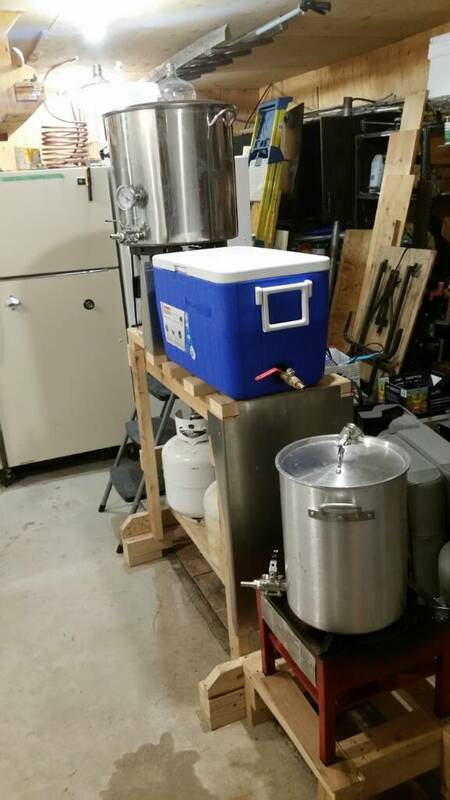 I've got half of my garage setup for brewing. Yup, that's a bathtub, and it is awesome for cleaning. 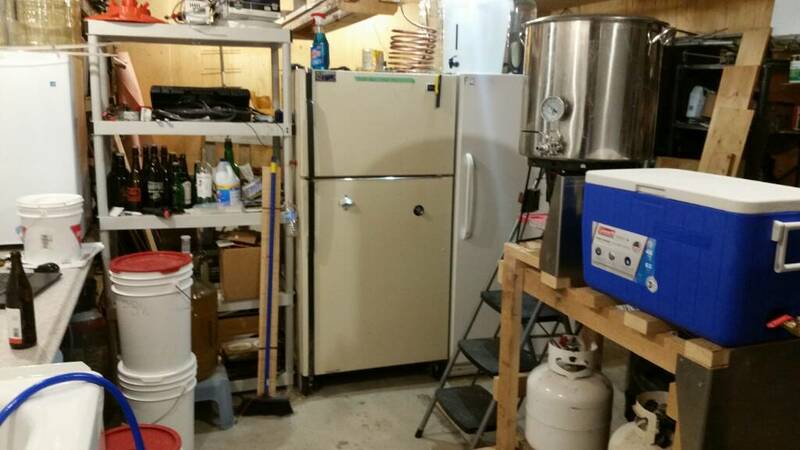 Lol First fridge is for beer storage and carbonation, second one I ferment in. (Temp controller to come someday). 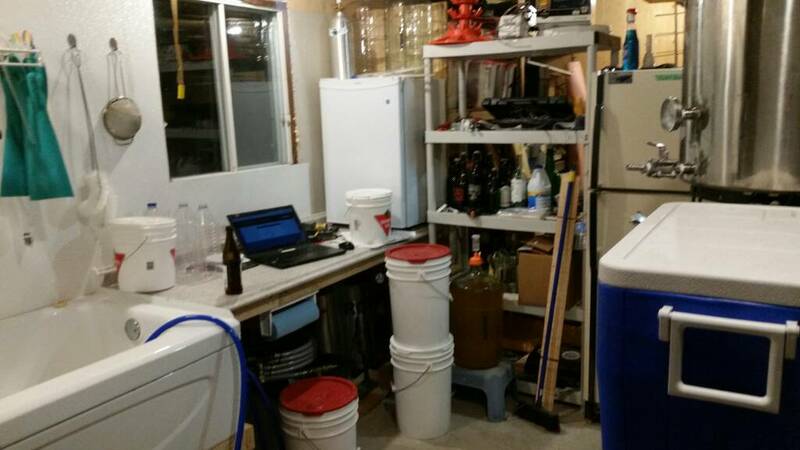 It's a work in progress but sure enjoy brew day with some tunes on. I've got my boil pot and HLT swapped in the pic, I was cleaning the valves at the time and had the boil pot up where i could work on it..
Nice set up, it looks like youre set up pretty similar to me. A brew stand is something thats been on my to-do list for awhile, but I just sort of achieve the same thing on a counter for now. If you're holding back on the temperature controller I probably spend less than $20 for everything on mine. I just used an aquarium temp controller from amazon hooked up to the fridge and a homemade paint can heater. You should have seen the look on the plumbers face that came to install nb power water heater. Lol. . What the hell you have a bathtub mounted up off the floor for??? He thought I might be washing the dog or something. Awesome setup.. I really like the tub/sink idea! 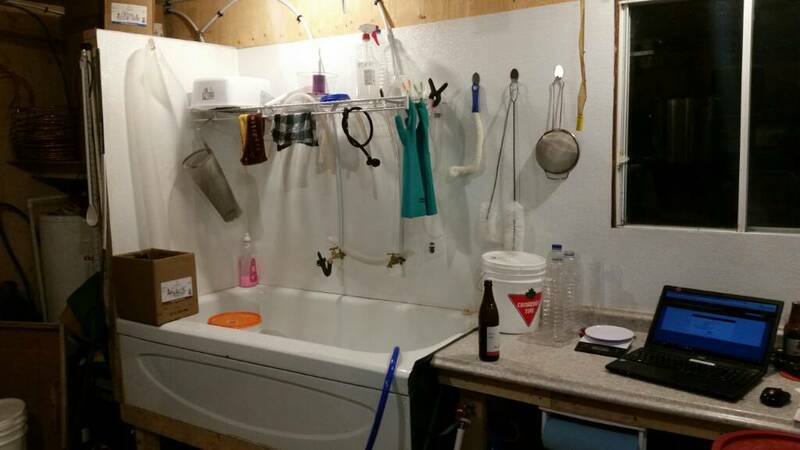 yea the tub is great for bottle washing and bottling too... i made a framework that sits over top of it all and my bottle tower can drain off into it, and a spot where i bottle that sits on a grill and the foam over can just run into the tub. its great really... looks kinda funny but super functional! I have had people come into my garage and think that I am running a meth lab because of all of the copper coil, pots, burners, and Erlenmeyer flasks kicking around. My landlord has sent in a few contractors and various service people and more than one has said "don't worry, I won't tell your landlord about your still, but you should hide it better"